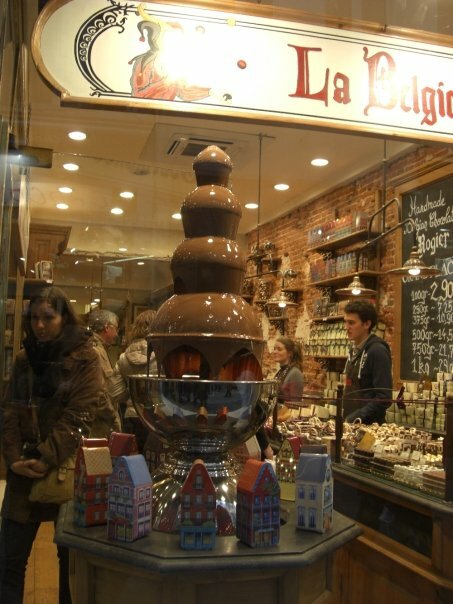 You’d have to live under a rock not to have heard of Belgian chocolate, and for good reason. The country’s history in the chocolatier business goes back centuries. The chocolate bar and the praline were both invented here. You need go no further than the city’s famous main square, the Grand Place, to find the home one of the biggest names in chocolate: Neuhaus. As you choose from an infinite number of gorgeous and delicate bonbons, below your feet you can see through the glass floor to the workshop where they were made. in its own right, I’ve even tried an exotic Tahitian banana beer served in a coconut shell. Just a brief glance at their menu will make you understand the reverence the Belgians have for beer and why they are so famous for their domestic selections from Affligem to Lindemans to Stella Artois (just to name a few of their over 1150 unique domestic offerings). Whether it’s their chocolate, beer, or any number of their other world famous gastronomic contributions like mussels, frites, or waffles. The Belgians know how to have a good time, so the next time you’re looking for a great vacation spot think of Brussels. You’re bound to have a blast. Just don’t visit while you’re on a diet!